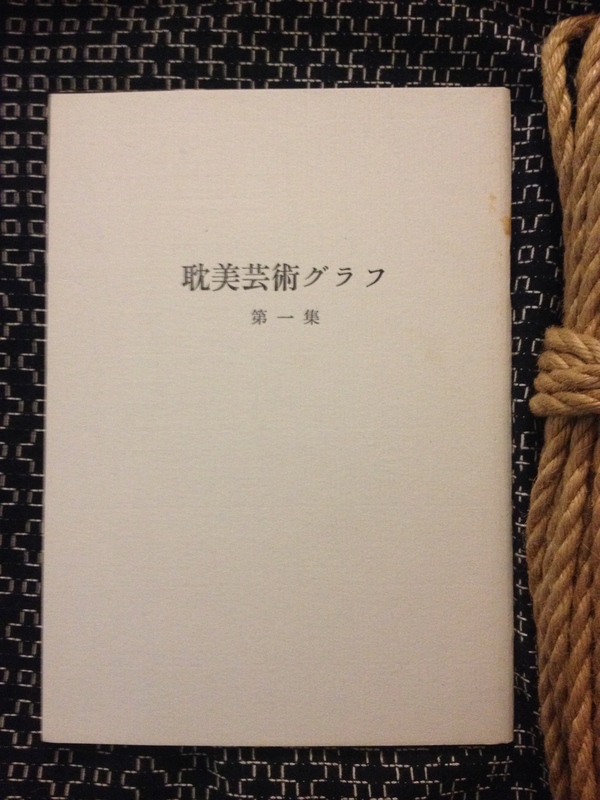 This white booklet is called 耽美芸術グラフ 第一集 ”Tanbi geijutsu gurafu – dai isshu” (”Aesthetic art images – first collection”) and was published in 1964. It contains both photos and sketches. According to SMpedia, it was published when the magazine Uramado was suspended. The editor is ”Yu Fujimu”, one of the pseudonyms used by Nureki, but you also see the the hands of the rest of the contributors from Uramado, such as Muku. I will dig a bit more when time allows, and return with a post about Uramado as well. As far as I understand, there was only one issue of this photo-only magazine. Shortly afterwards, the publication of ”Suspense Magazine” starts, as a successor to Uramado.